West Uintah St and Glen Ave. 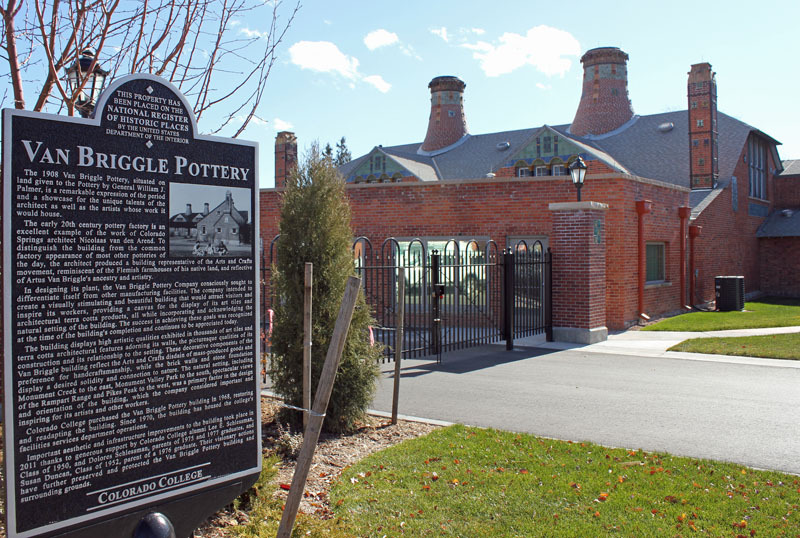 The century-old Van Briggle Pottery Company building is located southeast of the intersection of West Uintah Street and Glen Avenue in Colorado Springs, Colorado. From 1908 to 1968, the building operated as a pottery factory producing thousands of ceramic art and architectural pieces. The building faces south and is situated a short distance from the west bank of Monument Creek, adjacent to National Register-listed Monument Valley Park, a narrow designed landscape traversing the central part of the city presented to the citizens of Colorado Springs in 1907 by its founder, William Jackson Palmer.